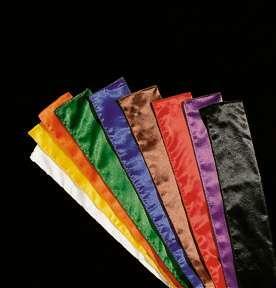 The color of these sashes was usually black since, in China, that was the easiest and most accessible color of dye used for clothing. In the early 1900’s, the Japanese would begin to use belts as a distinction of rank, black being the highest. In the mid-1950’s, many international kung fu associations also began to use ranking distinctions but they kept their original sashes and most adopted the black sash as their highest rank. This entry was posted in History, Miscellaneous, Rules and Etiquette. Bookmark the permalink.